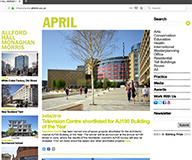 Extensive CMS custom built in .NET to support the large amount of content that this award winning Architect's practice has to show. Like many of our clients they see this an ongoing progression both of the website and partnership with Carciofino. 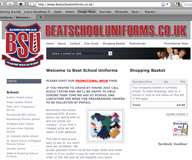 Beat School uniforms is an ecommerce site selling school uniforms directly to parents at vastly discounted prices. It was the brainchild of one of our existing clients, Beat Design a clothing manufacturer, who came up with the idea of undercutting the high street stores and at the same time giving a percentage of the sales to the school. Thus the parents are saving money, the school is making money and our client is selling lots of clothes. A clean clear and considerately structured website to reflect the working process of this highly regarded coach and his associates. All elements of this site are updatable by the client and it includes his blog so that content has been clearly organised into company info, services and the more dynamic blog content. 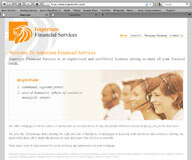 Discreet extra touches like the ability for the client to update header images and quotes on a page by page basis. 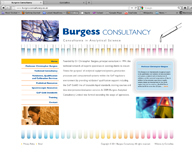 Professor Christophe Burgess is a well known chemist and speaker within the pharmaceutical industry. One of his areas of speciality is in the development of vaccines. 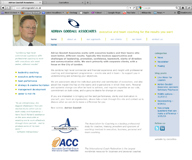 The website sits as a portfolio of his work and the services he offers. It needs to appeal to high level decision makers and represent the status he holds within his sector and the type of organisations he works with. 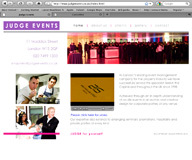 Judge Events is a leading event management company for the London property industry. They wanted a striking website that effectively displayed their work and client list. 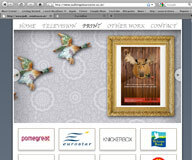 The site also incorporates a video of one of their events and beautiful images shown throughout. This website is a sub brand of a photographer who amongst other areas specialises in taking images for school prospectuses. This is obviously a fairly niche industry and requires permits and licences to operate in. The site acts as a portfolio to showcase the impressive images and generates an ongoing stream of new enquiries and clients for our client. Imperium Financial Services is an experienced and established business aiming to meet all your financial needs. The site is a static brochure site which displays information about the company, its activities and products and services. The client gave a fairly specific brief of the kind of look and feel that they wanted and were delighted with the end result as their brief had been perfectly fulfilled. Being creative Judi came up with the unique idea that the website should look as though it was designed and written by her mother. Having been given this brief and some creative input, the Carciofino designers then set to work realising this idea. The result was something a little different to the norm and a site that the client was delighted with and has served its purpose very well of acting as an online portfolio and enabled her to pitch for and secure some great new contracts.